“Insta-Portfolio Pro” And What Is In It For You?? Hits EVERY offline angle - InstaPortfolio Pro will function as the customers website, they can use it to sell their services and explain to potential customers why they need mobile marketing (it makes the case for mobile). A potential offline customer of theirs (dentist, doctor, lawyer) could buy direct from the mobile consultants site direct to their paypal. Many of mobile consultants do not have a website, this is the perfect solution for your customers. Powerful - Functionalities of the OTO has extra pages selling additional services: SMS services, Mobile Apps, Full desktop site redesign, Mobile Site design services, Mobile Landing pages. With the OTO you get our SqueezeMobi mobile sites that we’ve been selling like crazy because the designs are so stunning! Warriors LOVE our products! Together we have made well over $1 million in revenue over the past year or so…Just for SqueezeMobi, our last three launches grossed over $200,000 in Total with over 8,000 buyers, giving us a whopping average of approx. 3,000 FE Sales per launch! We convert consistently around 20% throughout launch on the FE and averaged approx. $5 funnel EPCs. Our WP Niche Raider OTO had $14.59 backend EPCs. 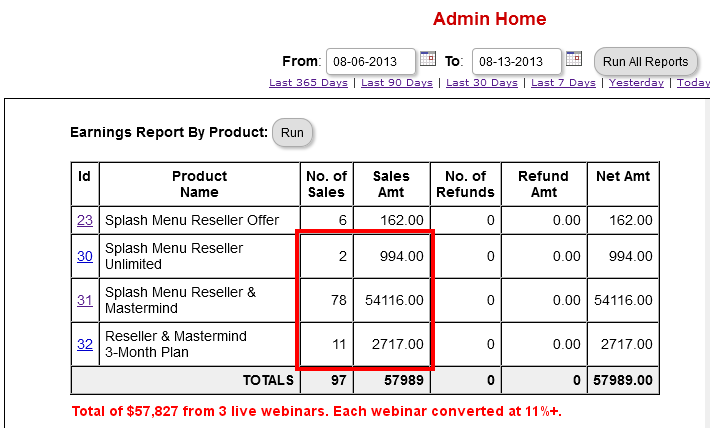 RESULTS – customers get REAL results. We put out high quality products that are proven to work! Look at some of the buyer testimonials:“I’m frothing at the mouth in anticipation for “Mobile Treasure Island.” I make so much money with SqueezeMobi products that it’s all I do now.$12,942 in the last 10 weeks. My “Squeeze Mobi” powed80b0b business is literally a money printing press…Absolutely AMAZING! I’m holding 3 checks in my hand right now totaling $2391 for 1 days work. I was lucky enough to win a review copy on Sunday’s webinar and after spending 2 days setting things up I went out today to visit 4 clients I had previously done a few small things for. 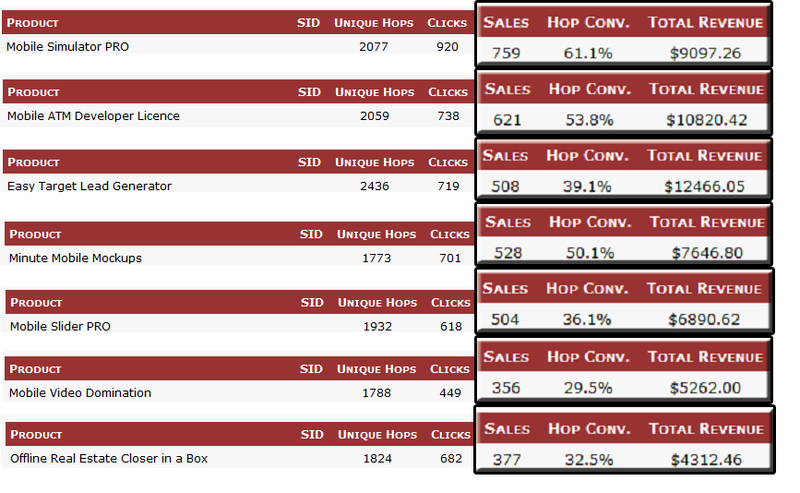 3 of them were sold the other’s still pending. The themes opened their eyes (WIDE), and I tweek’d them easily to match the business, but it was the fangates that sold them on the deal ($797 inc.sms pkg). 9 out of 10 small businesses don’t have a clue how to get an offer or coupon up on Facebook. You guys rock! (Vincenzo Oliva on Mobile Treasure Island)”One of our customers Will sold 3 mobile sites for $795 a piece within 8 hours of buying one of our products, Steve sold 2 of our sites for $500 in 40 minutes while still on a LIVE webinar with us and those are just some of our testimonials. …and many many more! If you have a good offer that is a good fit for our list, we will support with a crushing SqueezeMobi promotion. Webinars! Webinars! Webinars! - we will do a pre-recorded webinar for your list or you can drive traffic that is cookied to our LIVE pre-launch webinar. We do massive prelaunches and in the past one of our pre-launch webinars did 1,000 FE sales and had 63% conversions in the first 32 minutes of launch. Those who sent pre-launch traffic or traffic during those first 32 minutes had a chance to participate in massive funnel EPCs of $19.21. LIVE 6 Hour Q&A - Right after the launch goes live we will host a blockbuster 6 hour Q&A marathon to ensure customers are happy and get their questions answered. This will be a Warrior Event where we will invite top Warriors as guests and sales page traffic will have an option to get in the room to maximize your conversions. Prizes for customers up for grabs. There will be Prizes for those action-taking customers who get results the fastest or simply if they just show up to our LIVE webinars they will have a chance at winning. Demo the Insta-Portfolio Pro Here. This product that has already achieved 5,000 sales? Wait, are you telling me you are going to rehash something and call it a launch Enrique? No way! Our old insta-portfolios (a site to demo our hot SqueezeMobi mobile templates) were all in HTML and sold like hot cakes so we are coming out with the 20x superior WP version of the Insta-Portfolio. Insta-Portfolio Pro will function as the customers website, they can use it to sell their services and explain to potential customers why they need mobile marketing (it makes the case for mobile). A potential offline customer of theirs (dentist, doctor, lawyer) could buy direct from the mobile consultants site direct to their paypal. 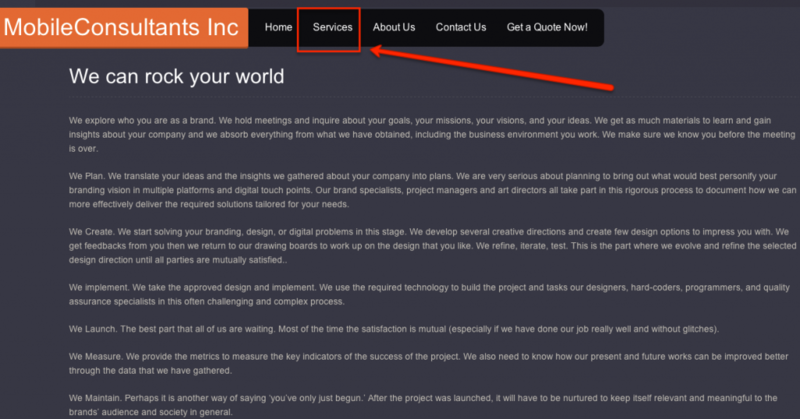 Many of mobile consultants do not have a website, this is the perfect solution for your customers. On top of that, they get advanced LIVE training! The OTO includes -Extra Pages Selling Everything Offered to Make Your Mobile Consultants Bank! Demo The OTO 1 Here. SMS/Text Message Marketing - High-converting copy that will yield amazing results for your clients! Mobile Apps - Hot and in-demand by clients, your consultants can leverage this page to help them sell more Apps! Full desktop site redesign – Position your consultant as the Instant authority in their local area! Mobile Site design services – HD graphics and sales copy of why these businesses are losing business without mobile sites! Mobile Landing pages – Amazing graphics and sales copy of how these businesses can capture their customers information! OTO 2: Get ALL of OUR Mobile Sites! 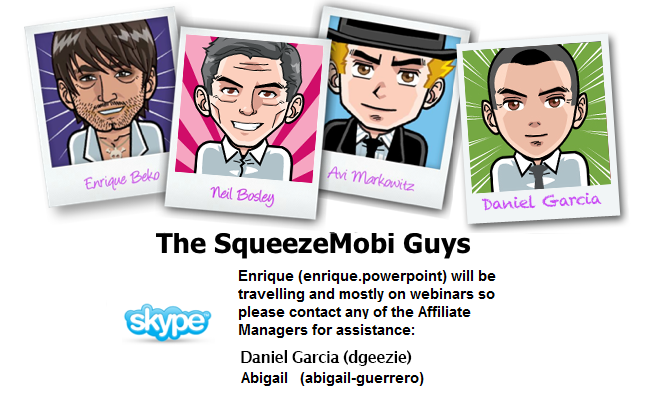 Who Are The SqueezeMobi Guys? We are the Warrior Forum Mobile Marketers consisting of Neil Bosley (the product guy), Enrique Beko (the webinar guy), Avi Markowitz (the technology guy), and Daniel Garcia (the marketing guy)! From offline clients to product creators and Internet Marketers, our goal is to bring the best and hottest products to our customers. Enrique Beko and Avi Markowitz are originally from the United States but are traveling Europe now even though we somehow got stuck in Germany. Why would anyone want to be stuck there?! At least the beer is good. But we promise to reunite with our one and only Neil Bosley and runaway to a tropical location that will inspire us to bring even more cutting edge mobile marketing products to everyone! Neil Bosley is currently in the UK – I think you guys noticed he has a very strange accent. He has been serving mobile marketing clients for a long long time before hooking up with the American cowboys! Daniel Garcia lives in sunny Los Angeles, California where he spends most of his time in the field testing out our products, making deals, and brining veteran insight into sales processes with local business. He’s been marketing online for over 6 years but enjoys working with controversial niches. So with that all said and done… you now just need to sign up to this JV Blog. And know this – your list will THANK YOU for recommending “InstaPortfolio Pro“. See you inside your JV Blog.